Hi, all! 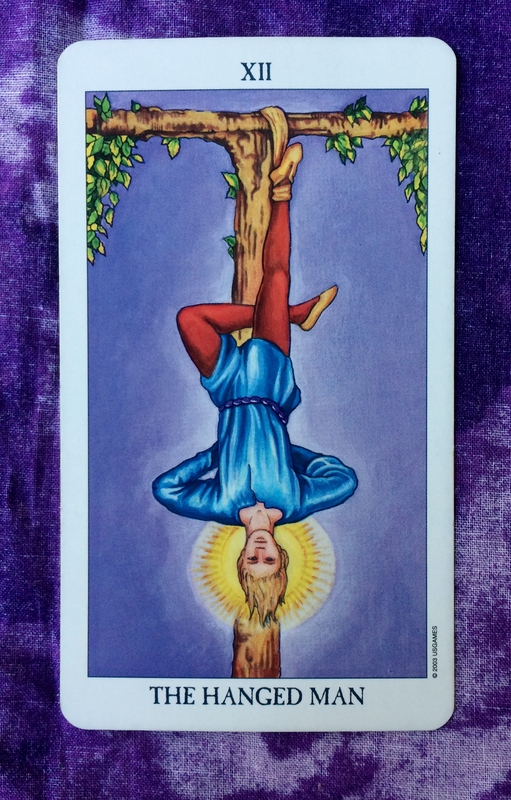 The Tarot card of the day is the Hanged Man. There is a lot going on in the astrology arena this week with Mars going retrograde tomorrow and a full moon coming in a few days. With the retrograde energy, we may be tempted to second guess ourselves when it comes to projects or relationships. I think the Hanged Man is telling us to not move so fast. Look at your options from all angles and take your time when making big decisions. At the same time, don’t stress too much. Being mindful and aware helps make life a little easier to deal with.